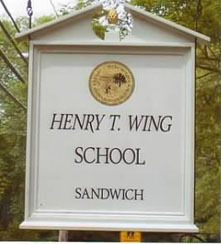 It has been my pleasure to talk with many fellow Sandwich residents who have questions about the plan to move the Sandwich Public School’s Central Office to the HT Wing School. I thought many would have interest in the questions and answers that have been discussed. Why are the district offices moving from their current location at Oak Ridge? Oak Ridge is projected to have 929 students. We promised parents we would not use the portable classrooms for regular grade level classes, such as having a 4th grade classroom in a portable all day long. The portables were planned for use by special classes, and the funding to refurbish the portables was approved. With needs identified for special education services, all central office staff agreed that we should move to the portables instead of the children, and thereby return the central office classroom space to the Oak Ridge school. Could you remain at Oak Ridge? Yes, we could, but it makes more sense to give Oak Ridge as much space as possible. Why not use the Oak Ridge portables for central office as planned? By moving out of Oak Ridge entirely, it frees up parking space, reduces traffic into Oak Ridge, and eliminates having Central Office visitors from entering the Oak Ridge School. What about the investment in the current space at Oak Ridge? The move from the high school A-wing to Oak Ridge was done to avoid the recommended $15 million addition to house both the STEM Academy and the Central Offices in the high school A-wing. The improvements made to the space at Oak Ridge (the creation of some smaller spaces) will remain for use by the school. A single wall that separates the superintendent’s office from the conference room was installed by our maintenance department and it will be removed by our maintenance department. It was thoughtfully designed in this way so we would have the ability to return the space to a classroom if needed. What will happen with the Oak Ridge portables? The Oak Ridge portables are in the process of being refurbished to serve as classrooms. By moving to Wing, all six rooms will be available to Oak Ridge students and classes for special programs. Additionally, if a regular classroom has to come offline for a few days for repairs, they would have the ability to use a portable classroom until the repairs were completed. If Central Office was in the portables, walls would have been added to five of the classrooms to subdivide the room and create offices and the sixth room would have been used for a specials class. What about the so called “bubble” of students moving through Oak Ridge? Did you know they were coming? We most certainly knew they were coming. Bubble is a relative term when used in education. Gone are the days when a district grade level would have over 300 students. That is why we no longer need the Wing building as a classroom school. The enrollment drop is due to the aging of the Cape and fewer births. In 2015-2016, the “bubble” is 236 students grade 6, and 250 students in grade 5. There will be 227 in grade 4 and 213 in grade 3. Moving into Wing provides added oversight for the building. The district offices are open Monday through Friday, year-round, so we have a greater presence there. What space would you use at Wing? The district would use existing office space and a classroom or two. No structural changes would be needed. Central office would just takes its phones and computers to use in the existing space. Won’t it cost extra to move and setup at Wing? Central office costs move with central office, despite location. The cost of moving is offset by not having to subdivide the portables at Oak Ridge as stated in the answer to #5. Can you manage to run the central office on the funding provided for the care of the Wing? We only agreed to consider this change if we would minimally have 2-years in that space to make it worth the effort. Indications are that no matter what is decided for Wing, it will be at least 2-years before any work begins. Be mindful that the SC vote was to “cease use of Wing as a classroom school” (no children). By state law, a separate vote to “surplus” the Wing by the SC would need to take place prior to going to Town Meeting. What will happen after the town takes over the Wing? Once the town accepts the building as surplus, the “care, custody, and control” would transfer to the town. The central office would have ample time to relocate, and by then space would be available at Oak Ridge and/or Forestdale. When will the School For Early Learning move from the Wing portables? The first priority is to complete the PreK-6 moves within and between Forestdale, Oak Ridge, and Wing. The move from the School For Early Learning portables at Wing will happen by Thanksgiving. The portables at Wing will cease to be used by the district. Since there are fewer children at Forestdale, did you consider moving central office to Forestdale? Moving to Forestdale would involve more expense, because it would requires some office construction within classroom spaces, and it would not be an internal move, such as the move that had been planned within Oak Ridge. More importantly, we would be taking up needed Forestdale parking spaces, and adding to traffic at Forestdale. 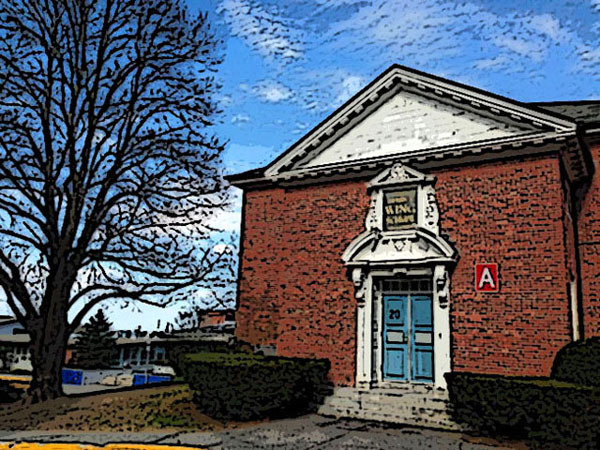 Having central offices at Forestdale would also result in having non-Forestdale school adults and non-employees coming into the building to engage in central office business.